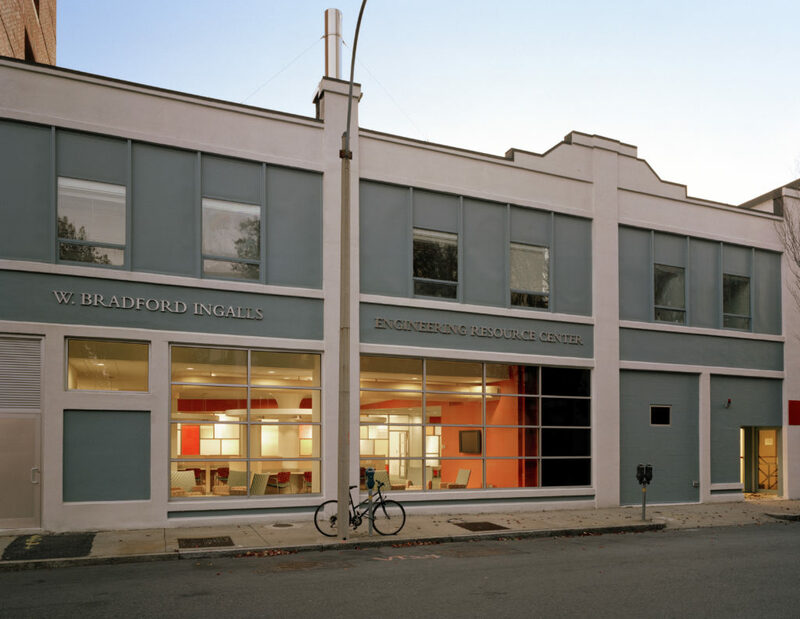 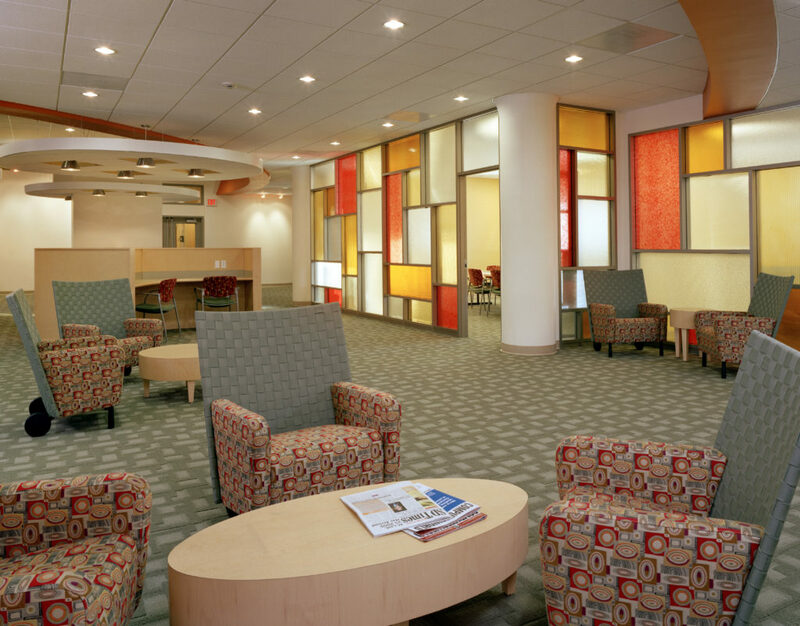 High-tech research and meeting center for Boston University’s College of Engineering. Project involved complete gut of building’s first floor, and the demolition of its exterior concrete block facade. 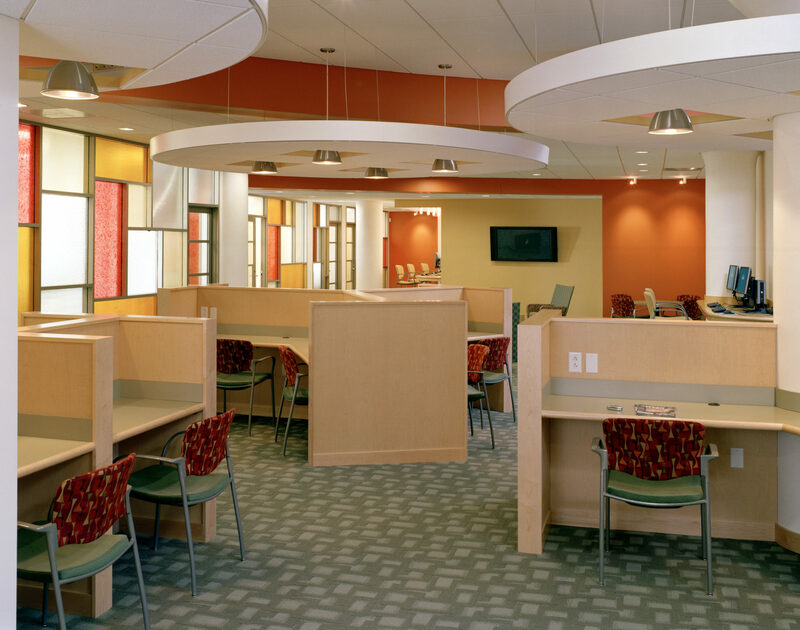 Finished space features stepped ceilings with radius soffits and axiom clouds. 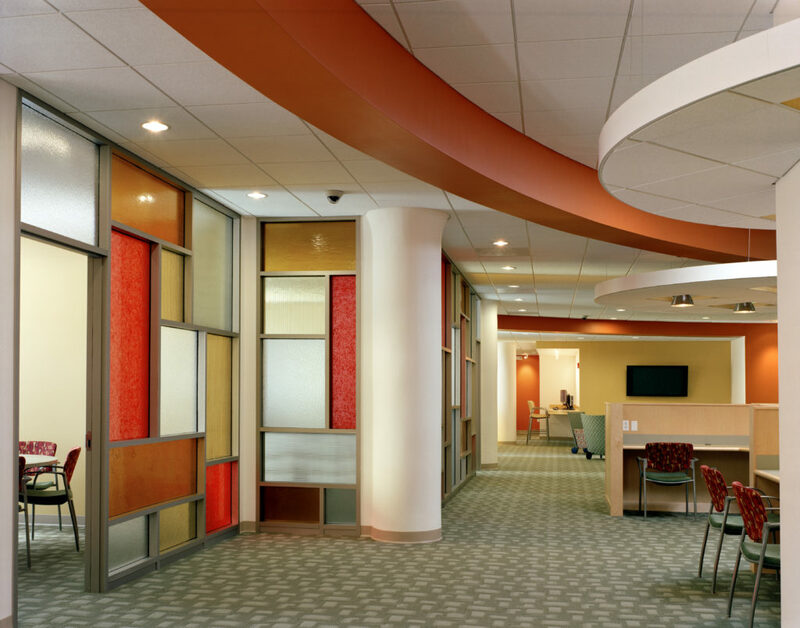 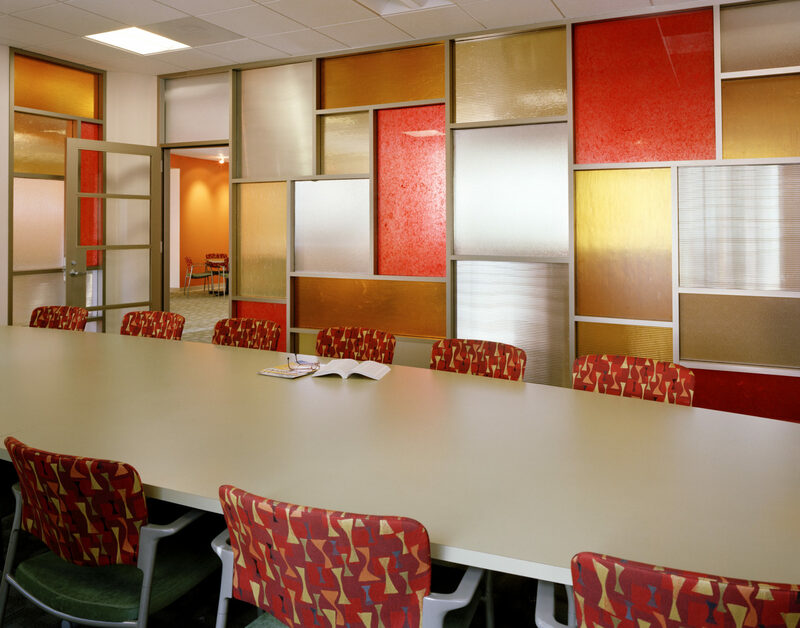 Meeting and conference rooms have Wilson wall partitions with custom colored glass.